Anybody who has coached volleyball is well aware that body language and verbal communication has a huge impact on the mental state of young athletes. Saying the wrong thing or making the wrong facial expression can send a player into the tank; saying the right thing or shrugging off a mistake with a smile can maintain the kind of positive energy that helps teams win matches. With that in mind, we asked longtime juniors coach Mike Williams to share three Do’s and Don’ts for communicating with players. Mike started his volleyball career playing on the beach at age 12 in Corona Del Mar, Calif., and he has been playing and coaching ever since. He co-coached the girls’ team at Whittell High in Zephyr Cove, Nev., to seven NIAA 2A state championships from 2000 to 2008. 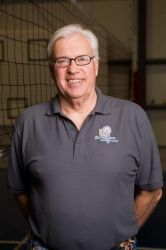 He is currently the facility director at Silver State Volleyball Club in Carson City, Nevada. Confuse them with too much information, especially during a match. Like we said, information is a good thing but, as Williams notes, it shouldn’t be dished out in heaping portions. Giving players multiple things to think about at one time can be counterproductive. During the match you want your players to “just play,” Williams says. Keep it simple. “A college coach at Washington once told me that the best clinician he ever had work with his team was a Korean national team coach who spoke zero English,” Williams says. “So it’s clearly about the physical experience of the skill. 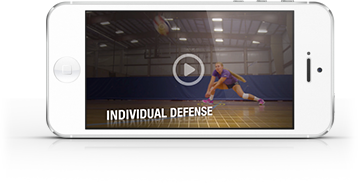 Coaches should design drills so the kids can self-correct and not have their hand held by a coach who is over-intellectualizing or over-coaching.” Be as visual as possible – demonstrate the skill, show video, use a Coach’s Eye app – and limit verbiage. Plan practices that are devoid of pressure situations. “Practice like you’re in a championship match so when you’re in a championship match it’s like practice,” Williams says. Building some pressure into drills and practice games helps players prepare for the tensions that will arise in matches. For instance, Williams suggests setting the score at 22-24 with the serving team at 22. The serving team then has to serve out the match as if they’re facing match-point against them. Another possibility: The scramble drill – if the ball hits the floor on your side and you didn’t make an effort to get it, your team loses all of its points. Or: “3 before 2,” where your team has to get three sideouts before the defensive side gets two. All of these drills instill more urgency in your players. That will help them in matches when the stakes are elevated.